Anti Stressor with synergistic action of Vitamin E, Selenium with Biotin. 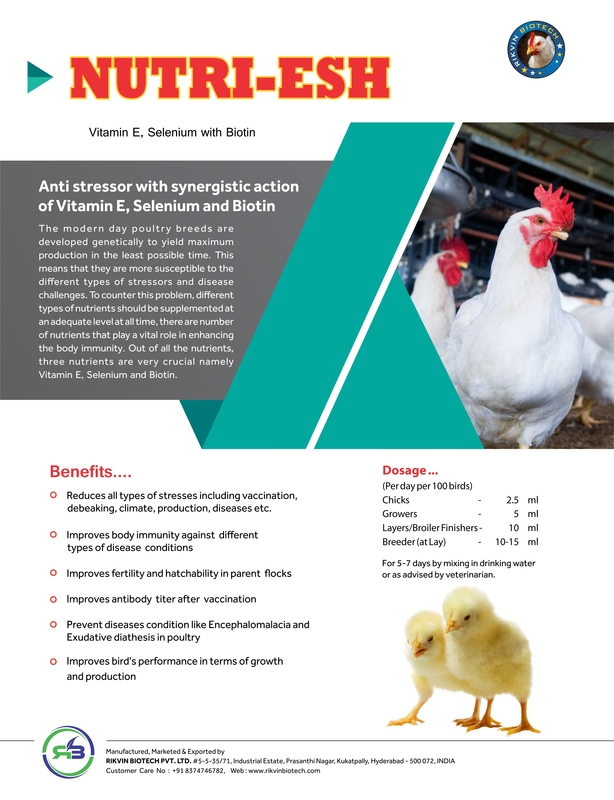 The modern day poultry breeds are developed genetically to yield maximum production in the least possible time. This means that they are more susceptible to the different types of stressors and diseases challenges. Reduces all types of stresses including vaccination, debreaking, climate, production, diseases etc.